Changes to the estate tax regulations have made much of the purpose for bypass trusts obsolete. Certainly, none of your clients enjoys writing out a big check to the Internal Revenue Service this time of year. But there’s something even worse: Some clients are being asked to write a check to the IRS that’s bigger than it needed to be because they have been relying on a bypass trust. While there are still advantages to bypass trusts, changes to the estate tax regulations have made much of the purpose for these vehicles obsolete. There are other options that can provide many of the same benefits of the bypass, without the income tax issues, as well as options for client to dispose of the assets in a bypass and minimize the tax costs. A bypass trust is a type of irrevocable trust that is generally established to pay trust income and principal to the grantor’s spouse for the rest of that spouse’s life. The trust’s recipient is allowed some access to the assets in the trust — but not much. The principal can be distributed for purposes of health, education, support or maintenance. And the grantor has the right to withdraw $5,000 or 5 percent of the principal, whichever is greater, every year. The recipient is entitled to be the trustee, providing full discretion to decide whether principal is needed for support or maintenance. The recipient can also collect all of the interest and dividends earned in the trust each year. There are several tax advantages to a bypass trust. When the grantor puts the assets into the trust for the benefit of the spouse, that transfer is tax-free. Those assets are also removed from the grantor’s estate, reducing the value of the estate and helping to avoid future estate taxes. But these advantages are offset by the possibility of increased income tax. As the income accumulates in the trust, the trust itself is considered a separate taxpayer. 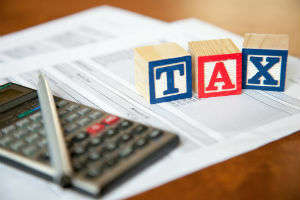 The trustee has to file an annual Form 1041 income tax return for taxable income generated by the trust’s assets that haven’t been distributed to the beneficiaries. It only takes about $12,000 worth of income to reach the top tax bracket. Most of the income accumulated in the trust, then, will be taxed at top trust tax rates. Upshot: a higher effective tax rate than for all but the wealthiest clients. It’s worse if a pre-tax retirement account, such as a 401(k), is left to a bypass trust. That can result in a significant amount of ordinary income passing through to the trust, which can dampen the tax advantages of the retirement account. Another problem: Assets in a bypass trust forfeit the potential for a second step-up in basis at the death of the second spouse. Most assets are eligible to receive a step-up in basis at death, but only if they are actually included in the individual’s estate at the time of death. These concerns weren’t as much of an issue a couple of decades ago, when many bypass trusts were set up. As recently as 2001, the exemption to avoid the estate tax was just $675,000, so many estates were bumping up against that limit. Now that it’s $5.25 million, far fewer people need to transfer assets out of their estate to avoid being subject to that tax. The new rules on portability have also obviated much of the rationale behind many bypass trusts as well. If your client has one of these trusts and is unhappy with the income tax implications, one possibility is for the trustee to distribute assets out of the trust (assuming the trust terms allow this) to the surviving spouse — and be done with it. Other trustees have made irrevocable transfers to grantor trusts for their children or grandchildren. Whatever the solution to the problem, clients will appreciate an advisor who can be proactive about changing an estate plan that no longer makes best use of the current tax code. Even if there isn’t a better solution that simply keeping the bypass trust in place, the effort won’t go unnoticed.